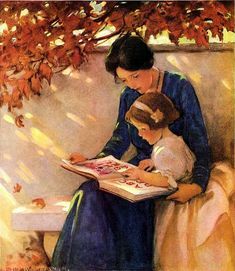 A friend introduced me to Carole Joy Seid-a mother and home school coach whose philosophy is books-lots of really good ones. I've been listening to her interviews here. I love Elizabeth Foss's screen rules for her home. Ours are a lot a like, and I'm sure just like mine, they adapt as we see fit. (And mine only applies to the older kids, as the younger ones who don't need them for school homework are almost never allowed on any device.) If you need some motivation here's a big dose. I noticed these great deals on Amazon this week-these are toys and games we've enjoyed here. LeapFrog Musical Rainbow Tea Party -22% off (This was a gift-I usually don't buy toys that make lights and sounds, but Janey loves this-and we've all memorized the songs the teapot plays. And there is a low volume button :). Every week Janey and I go to the library and select five picture books from the shelves. I usually have one favorite out of the bunch. This one is a favorite and I put it in my Amazon cart for Christmas. There is a tiny little ladybug hiding on every page and she gets so excited when she spots it. Love all of your toy and book suggestions!!! Thanks for sharing. I also enjoyed reading the Elizabeth's technology rules. My kids range from 5 months to 13 and we are still holding strong with no phone or iPod or anything of the like for our 13 year old. So no social media yet either. I always hear so many issues from other friends kids and social media use so we are holding out for as long as possible!!! I always love your toy and book suggestions! I found Magnatiles on your blog and my 4 boys play with them daily. Technology is a big discussion subject in my house right now. We homeschool but my oldest still has many friends playing games that I find unacceptable. Thank you for being a voice of reason and knowledge. I absolutely love your blog.